This is a standard 6 feet Firewire cable. It has standard 6-pin firewire connector on one end and a mini-Firewire on the other end. Just as pictured below. 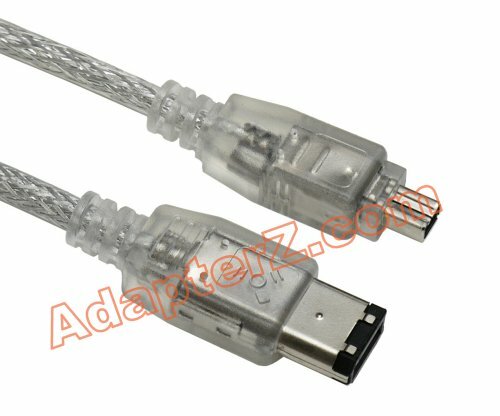 This is the cable you would normally use to connect a Digital Video camcorder to your computer for data transfer. Normally, programs such as Ulead VideoStudio or Nero Digital would recognise such camcorders and allow you to transfer your videos into MPEG or AVI format. Later, you can use it to convert it into smaller size compressed AVI or MPEG files for redistribution.